Hallberg Rassy and are renowned for making some of the finest quality sailing yachts produced anywhere in the world and have won many prestigious awards for building good, well equipped, live-aboard boats. It was therefore, an inevitable part of the decision making process to look more closely at their lineup. 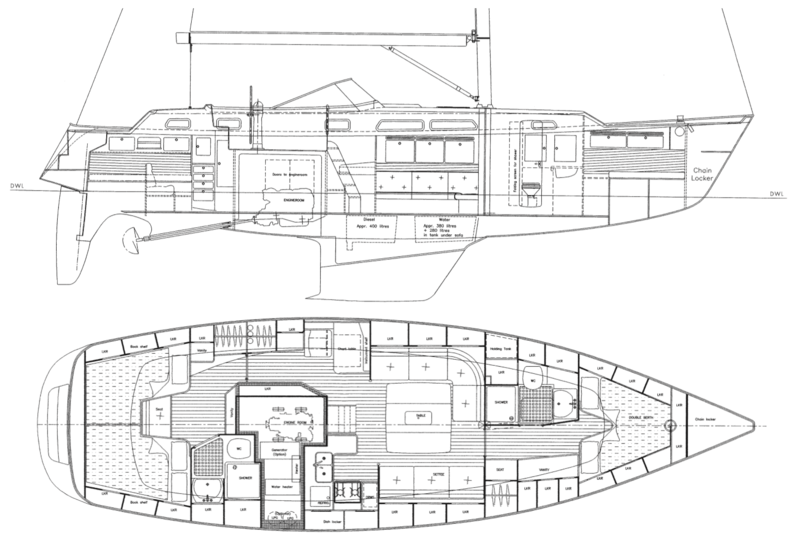 The HR43 has been designed to allow a couple to live comfortably on board. Unlike most other boats of this size, the aft section of the boat is given over to a single large cabin with its own ensuite heads, rather than a more common layout of two smaller cabins with a shared heads. This alone, was probably the most convincing factor in the decision making process for my better half. 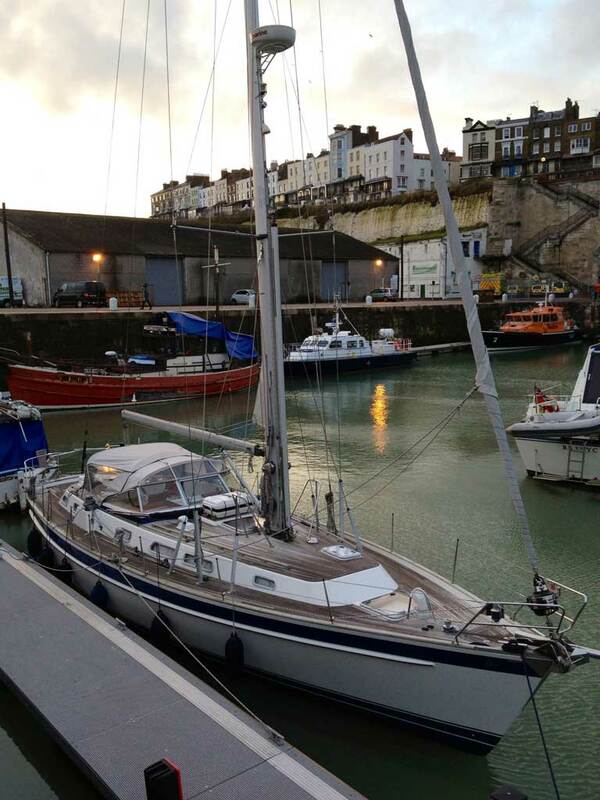 When you’re looking to buy a boat, there’s a cliche which says that ‘you’ll know the right boat when you see it‘. Now, to me, as a scientist, this sounds like rubbish. Boats aren’t cheap, so a decision of this magnitude should be based on nothing but hard facts and educated opinion – nothing as whimsical as emotions should even play a part in it. We’d visited many boat yards and seen a lot of similar boats to Amalia, we’d even drawn up a wish list of what we’d like to eventually have on a boat of our own. However, once we got on board we couldn’t help but see that the most important thing in the end was that she just felt ‘right‘. The dimensions were obviously the same as the other HR43s we’d seen but, just like when looking for a new home, the overriding factor in the decision was an emotional one. Naviagtion equipment including: twin chart plotters, AIS, Navtex, Radar. Maybe at a later date, we’ll look at installing a water maker and washing machine, but we’ll really only need these once we commit to living on board full time and travel to places where we’ll make good use of them.